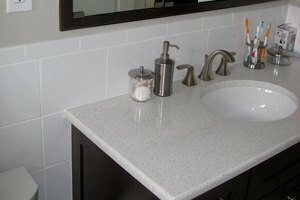 At Baths By ZR we know exactly what it takes to complete your South Jersey bathroom remodeling project – promptly and professionally. Our South Jersey Bathroom Remodeling Contractor’s focus is taking care of bathroom design and remodeling for your powder room, hall bath, guest bathroom and master bath. Customize your bath and improve your residence’s functionality all while increasing your home’s property value. Why hire Baths By ZR? For years now we have been the number one choice for all of your construction and remodeling needs. In order to meet the demand for just bathroom remodeling we have created a division to focus on just this task. So you can expect the same level of professionalism and expert level craftsmanship for this and every job we take care of. 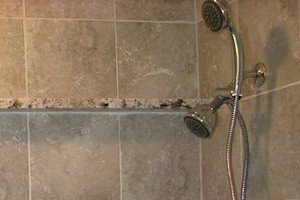 We even offer three main types of bathroom remodeling tasks to meet your budget needs. New Marble Or Granite Vanity Top. Of course we can also work with you to take care of custom designing your personalized bathroom remodeling project. If you want upgrades, updates or just want to make changes the expert crew at Baths By ZR has the training, skills, creativity and hands on experience to take care of whatever you can envision. Whether you have something in mind or don’t have the faintest clue we can help either way. Contact us today so we can get the job done for you and get started right away. Our bathroom remodeling project managers understand how to plan and build the perfect bathroom for your needs. We’ll review your many options and – based on our design consultations – we’ll create a custom bathroom design plan with choices that make sense for you, your family, your home, and your budget. Our experienced South Jersey Bathroom Remodeling contractor looks forward to improving your home’s bathroom space. If you are looking for an expert South Jersey Bathroom Remodeling Company then please call 856-302-1007 or complete our online request form.